It's My Bedtime ... But I'm Thirsty! 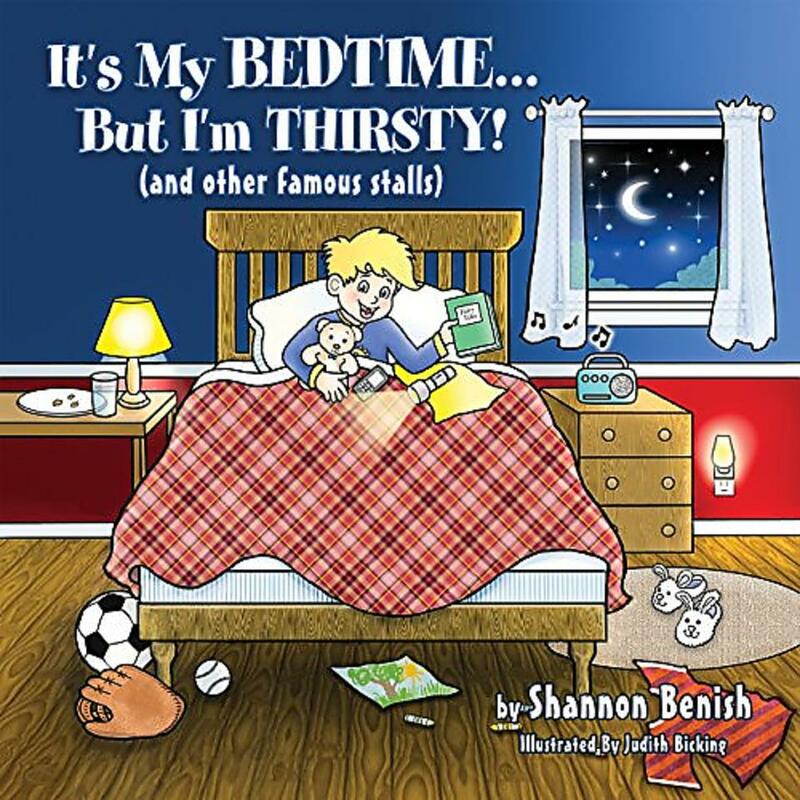 (and other famous stalls) by Shannon Benish is a charming children's book you need to add to your child's library! "The stars are shining and the moon is bright. It's time for bed, but he's not ready for night! How many stalls can be used before Momma's little angel is fast asleep and counting sheep?" Find out by ordering Shannon's book today. Shannon is a financial advisor, author and mother of a brave pediatric cancer survivor. She lives in Dodge City, Kansas, with her husband John, children Erin and Evan, and step-daughter, Sydney. She enjoys attending her children's activities, doing home repair, reading, writing, movies, travel and watching football. She has authored the books How To Help Someone With Cancer and It's My Bedtime...But I'm Thirsty!